Mangrove rehabilitation. View across young mangrove (Rhizophora sp.) 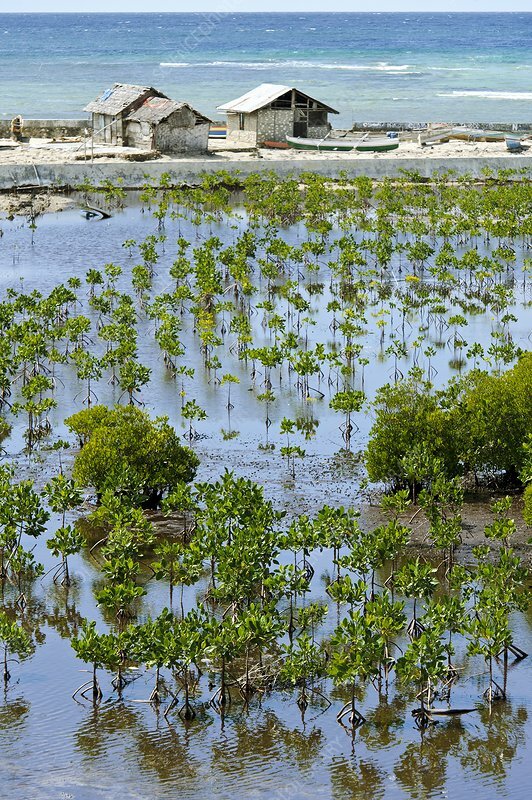 plants that have been planted to re-populate a mangrove swamp. Photographed in Bangga, Gorontalo, Sulawesi, Indonesia.